﻿ News Bharati - Maharashtra walks digitally to raise the national GDP..! News Bharati - Maharashtra walks digitally to raise the national GDP..! Maharashtra walks digitally to raise the national GDP..! Mumbai, January 25: “Maharashtra is an industrial and financial power house and we are heading towards the trillion dollar economy milestone! The state is the most favoured destination for FDI! 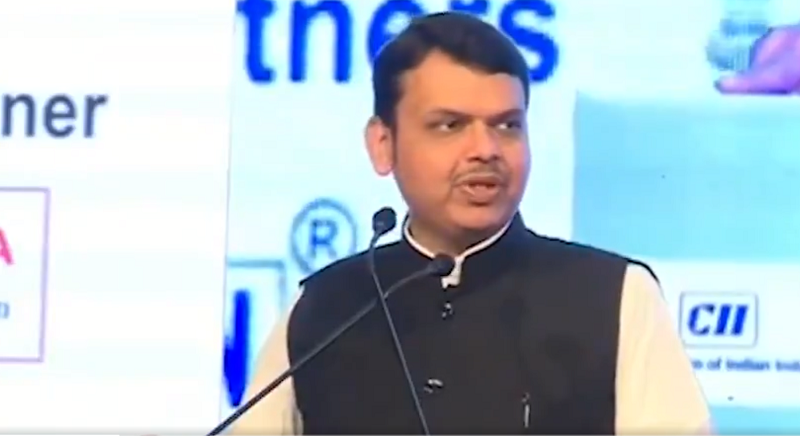 We have taken numerous ease of doing business initiatives to make the entire experience hassle-free !”, claimed Maharashtra Chief Minister Devendra Fadnavis while addressing a partnership summit collaborated with the Confederation of Indian Industry. “We provide around 400 services online to our citizens and half of the population of Maharashtra has availed services under Right to Services Act with 95% satisfaction rate! Key elements of 'digital wireframe for all' are connectivity, online services, digital literacy & cyber security! Good Governance = Accountability + efficiency + transparency + inclusivity! And this can be achieved only by digital transformation. Technology has no bias and is absolutely neutral!”, he mentioned in the series of tweets. Stressing at the digital developments for the farmers he said that Maharashtra has recently launched a Maharashta Agritech program which is like a virtual lifecycle for every farmer. “It is something from sowing to harvesting managed digitally through a single platform, which will aid the frmers to make this more sustainable and predictable. MahaVedh is a program initiated in the state having more than 2000 weather stations with robust data centres. We are collating, collecting and predicting the data along with dissimilating the data using the digital platforms”, he added further. By 2020-21, we in India would add around 50 bn dollars to the Indian economy using digital transactions. Also the GDP will raise by one per cent just because of the digital systems. The Centre and the state are using these platforms not only to reach every person but also to instigate transparency and efficiency to the system, he assured meanwhile.